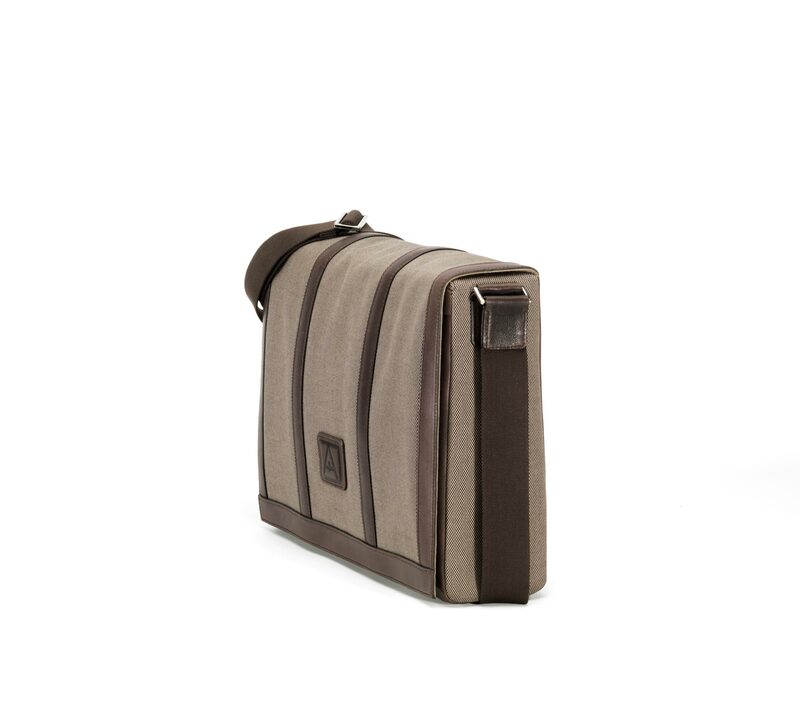 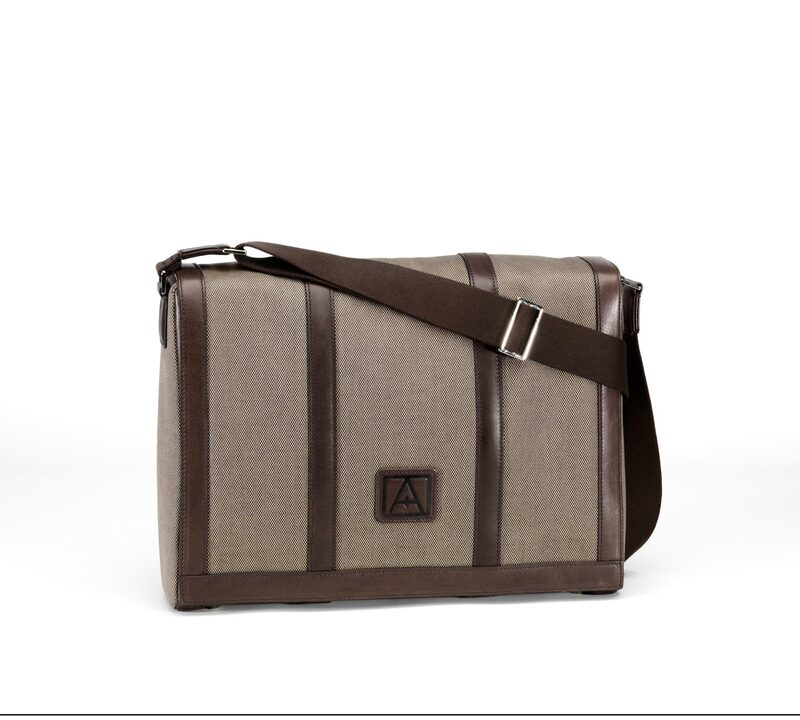 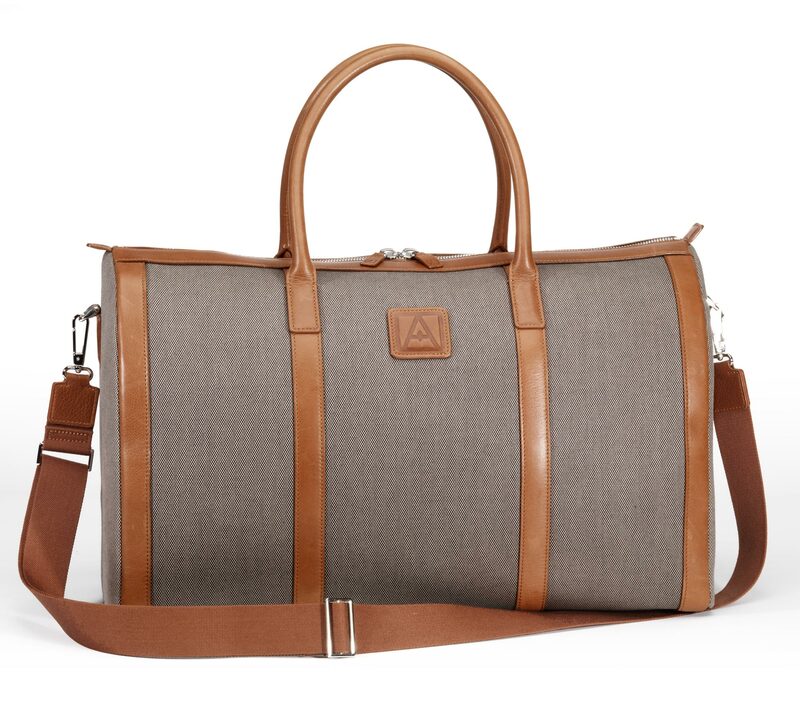 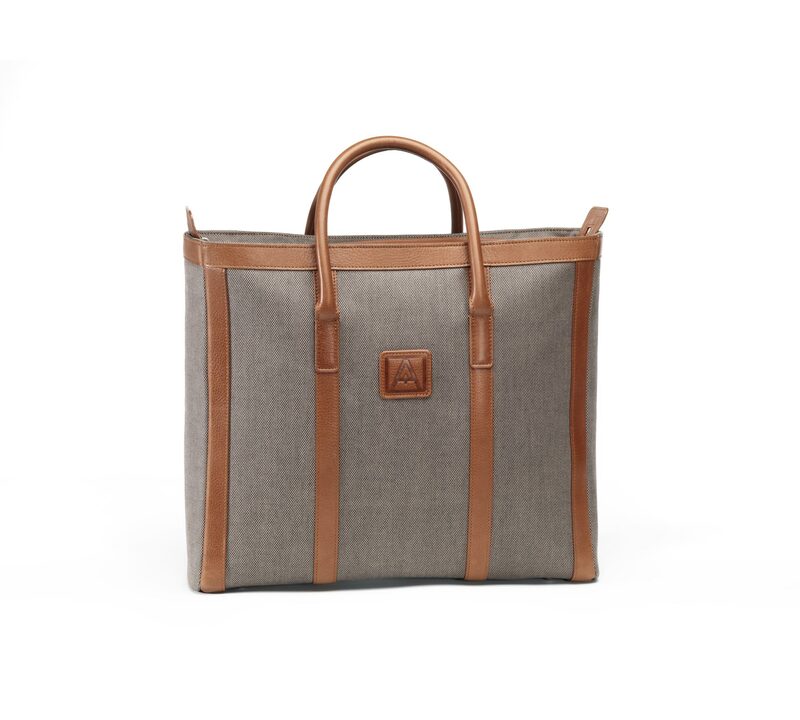 Mens computer bag 40cmx30cmx10cm in calfskin and canvas. 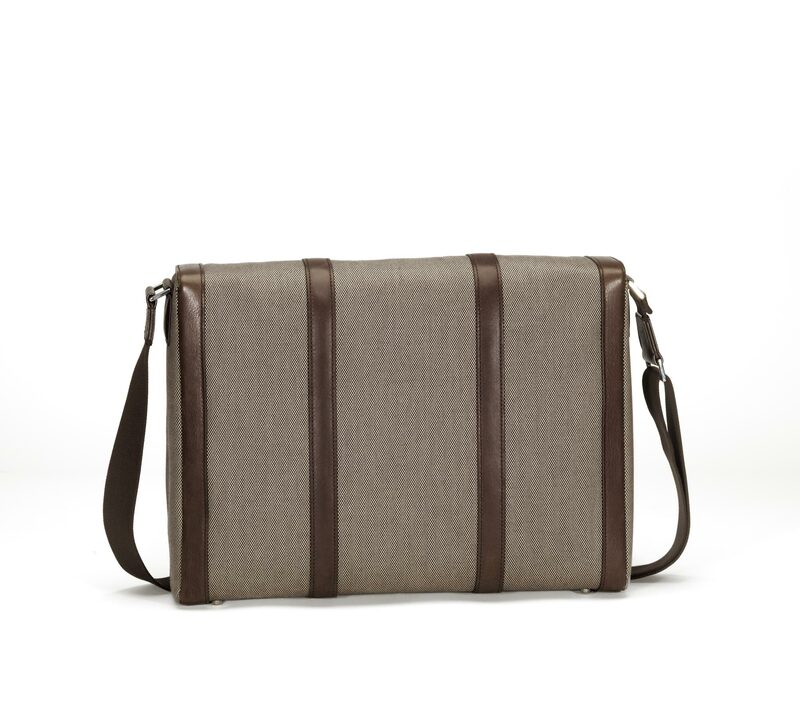 It is worn on the shoulder, and the fabric lining has 2 pens pockets and a separation. 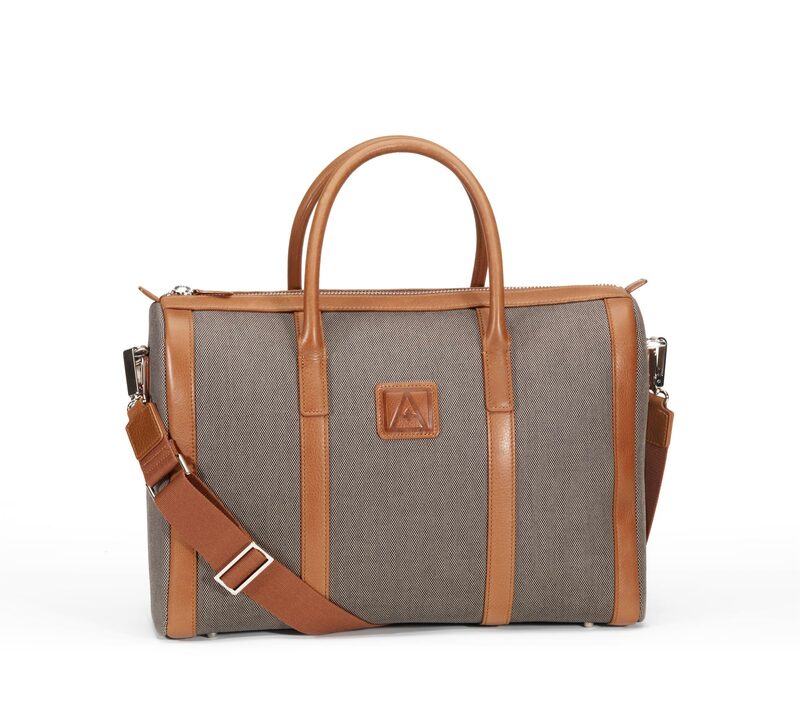 Also available in full leather.